Les Vêpres Siciliennes, The Firework-Maker's Daughter, The Wind in the Willows and Arthur Pita also among those nominated. The nominations for this year's Olivier Awards have been announced. 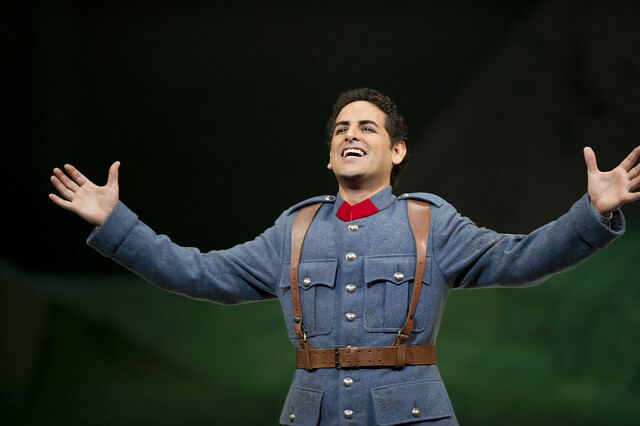 Joyce Di Donato, Juan Diego Flórez and Plácido Domingo have been nominated for Outstanding Achievement in Opera alongside English Touring Opera. Stefan Herheim's Royal Opera production of Les Vêpres Siciliennes and John Fulljames's ROH2 production of The Firework-Maker's Daughter (a co-production with The Opera Group and Opera North in association with the ROH and Watford Palace Theatre) have been nominated for Best New Opera production alongside ENO's Wozzeck. The ROH's West End transfer of The Wind in the Willows has received two nominations - in the Best Entertainment and Family category and designer Nicky Gillibrand in the Best Costume Design. Metamorphosis choreographer Arthur Pita (for his work with Ballet Black) and Clemmie Sveaas (for her performance in Cathy Marston's Witch-hunt) have been are nominated in the Outstanding Achievement in Dance category. Designer Es Devlin is nominated for Best Set Design for Chimerica, while lighting designer Paule Constable has been nominated for her work on the National Theatre's The Light Princess. Richard Eyre - whose production of La traviata returns to Covent Garden this Season - is nominated for his production of Ghosts in the Best Director category. The ceremony will take place on 13 April at the Royal Opera House. See the full list of Olivier Award 2014 nominations. Highlights of The Olivier Awards will be broadcast by ITV at 10.15pm on 13 April. The ceremony itself will be live-streamed on a big screen in Covent Garden Piazza.